WWEST’s Tune Twister app provides an opportunity for children in grades 4 to 8 to learn about the science of sound. Virologist and science adviser to The X-Files; truck and transport mechanic; ornithologist; fire safety engineer; and Indigeneer – a person who integrates Indigenous traditional knowledge in engineering – are just a few of the first-person stories of careers in STEM featured in Westcoast Women in Engineering, Science and Technology’s (WWEST) podcast series, Best of the WWest. WWEST, the operating name for the 2015-2020 NSERC Chair for Women in Science and Engineering (CWSE), BC and Yukon Region, is based at Simon Fraser University (SFU). Dr. Lesley Shannon, P.Eng., associate professor and chair for the Computer Engineering Option in the School of Engineering Science at SFU, is one of five CWSE chairs across Canada who work in conjunction with one another to increase awareness and participation of women and other under-represented groups in STEM fields. Dr. Shannon has focused WWEST on supporting career awareness for youth, parents and teachers and demystifying the engineering profession. “A major focus is identifying role models and providing professional development opportunities to support women’s journeys to leadership positions, and to help improve retention and promotion of women in STEM careers,” says WWEST program manager Danniele Livengood. The podcasts are one of the initiatives to support this strategy by showcasing career options and enabling women to share their own experiences, says Ms. Livengood. “The podcasts provide a platform for inspiring women with real stories to tell. Not every career journey is smooth, and it’s important for women navigating their own career path to know they are not alone – it’s helpful to know other people have faced similar challenges,” she says. WWEST is launching another initiative in May, a 12-part series of white papers that explore different careers in engineering and are designed to share insights with students in high school, teachers, parents and other influential adults. Working with Engineers and Geoscientists BC, each white paper concentrates on one engineering discipline and includes information on high school requirements, university subjects and job opportunities. 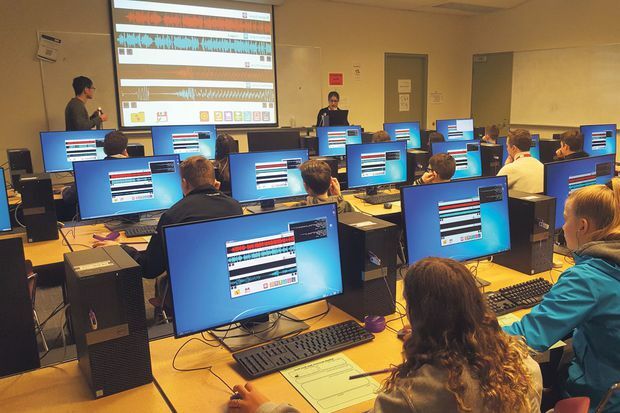 One way WWEST embraces the arts in STEAM is a program to develop software apps that engage youth in engineering topics – without teaching them to code. “We approach it from the perspective of incorporating things students are already excited about like music and photos and uploading them to the internet. We give them platforms to play with, like sound engineering, programs to manipulate photos and machine learning to detect faces, cars or other items,” says Ms. Livengood. The next event in WWEST’s outreach is Creating Connections 6.0 (May 3-4, 2019), a diversity conference in Vancouver focused on attracting, engaging and retaining women and under-represented groups in STEM. For more information, visit www.wwest.ca.